Buying a car is a huge financial responsibility, from cash upfront to expensive monthly payments. Both new and used car prices are at an all-time high, so this burden isn’t getting easier for anyone. On top of that, car values don’t always hold with the amount you owe on the loan. As soon as you drive a new car off the lot, its value immediately drops and continues to do so as time wears on. Your auto loan, however, stays the same. So what happens if you get behind on payments? Too frequently people end up underwater on their car loans and can’t even sell the vehicle for enough to cover what they owe. 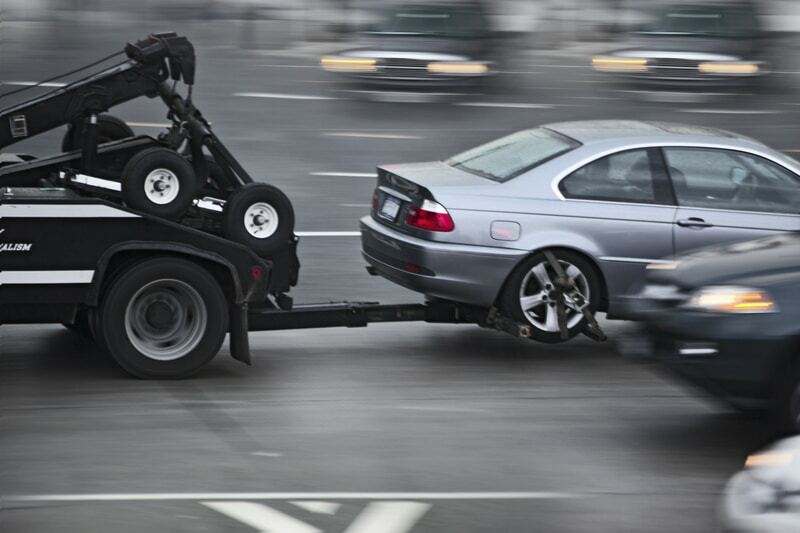 This unfortunate situation can lead to your car being repossessed. This leaves you without a ride, still owing the debt, and years of bad credit. But there are steps you can take to repair your credit, even after a car repossession. Ready for the play-by-play? 2 How long does a repo stay on your credit report? There are two types of repossessions: voluntary and involuntary. A voluntary repossession is when you return the vehicle to the car dealer or lender or arrange to have them pick it up from your residence. An involuntary repossession occurs when you become delinquent in your payments on your car loan and they come to pick it up whenever they legally can. Exactly when and how your car can be repossessed varies by state, so do some research into your specific location to find out the correct legal process for where you live. There are probably certain terms and conditions you’ll be made aware of by your lender, and you may even get a grace period or a chance to buy back your vehicle before the repossession can occur. But if you fail to catch up on your payments, at some point your car will probably be repossessed and sold at an auction. How long does a repo stay on your credit report? Repossessions stay on your credit report for seven years following the date the loan became delinquent. A repossession signals to potential lenders that you would be a high-risk borrower because you have a history of loan default, even with a collateralized loan. Your credit scores will drop significantly and it’ll be difficult to get approved for a loan or credit card during this time. However, the impact on your credit scores won’t stay there as long as the repossession itself. Over time, the severity lessens and your score starts to rebound on its own. Did you know that it’s possible to remove a repossession from your credit report before the seven years? 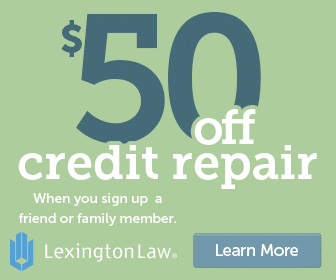 You can dispute a repossession with the credit bureaus the same as you can any other item. If the lender fails to respond or verify the information, it must be removed within 30 days of the dispute. Credit repair services like Sky Blue Credit Repair specialize in getting repossessions removed from your credit history. Give them a call at (888) 430-4544 for a free consultation. Because the effects of a repossession are so serious, it’s best to avoid getting yourself into that situation in the first place. Start off by talking to your lender as soon as you start having trouble making your payments. It’s really in their better financial interest to help you with your loan terms rather than pay to repossess your car, then sell it for half of its value at an auction. You might be able to refinance your loan terms to extend the repayment period or, if your credit is strong enough, lower your interest rate. Both of these will help your monthly payment amount, but if you extend your repayment period, you will end up paying more in interest over the long run. Still, if your option is that or repossession, taking the term extension is probably the way to go. If you know your financial problems are temporary, your lender could potentially give you a reprieve from making loan payments for a few months. Those payments would either be tacked onto your principal amount or added to the end of your loan term. It’s another way to avoid becoming delinquent on your loan, losing your car, and messing up your credit for seven years. If your lender isn’t willing to negotiate, you might also consider contacting an attorney to fully understand your rights and figure out if there’s any way to avoid repossession. Because repos frequently occur when you owe more than the car is worth, borrowers are often left with a deficiency balance. That means even though the vehicle was repossessed, it was sold for less than what you owed on the loan, and unfortunately, you still have to pay the difference. When repairing your credit after a repossession, make sure you pay back any outstanding loan balance you owe. The delinquent loan will be marked as “paid” or “satisfied” on your credit report, which gives your FICO score a boost. Plus, it’ll lower your overall amounts owed, which also contributes to a better score. Having your car repossessed is definitely a setback, but it’s by no means the end of the world. It’s not even the end of your financial future. The worst case scenario is a seven-year period of less-than-perfect credit, and even that can be mitigated with some strategic steps. After you pay off your deficiency balance, try these other steps to help raise your credit scores quickly. Not all debt is considered “bad,” unless you have a lot of it. A home mortgage and a student loan payment, for example, won’t be weighed too heavily on your FICO score. Revolving debt like credit cards, on the other hand, is not viewed favorably by lenders and can hurt your credit scores even more. And with the average credit card holder carrying $15,310 in debt, it can certainly be a strain on your personal finances. The first step is to stop charging things you can’t afford using your monthly cash earnings. Remove the reality of credit cards from your mindset. If you need to, cut them up or hide them somewhere extremely inconvenient. Don’t save your card information on websites like Amazon to prevent quick online impulse buys. Healthy credit habits start with healthy spending habits and the best thing to do is stop altogether. Paying down your debt not only helps your credit scores, it also frees up your finances for other more enjoyable things. Not to mention the emotional benefits of easing your mind from worry. Keeping your total credit card balances under 20% of your overall available credit keeps your score from dropping. Go through your monthly expenditures and show no mercy in cutting out all but the essential necessities. Then funnel all that extra cash you’re saving on additional payments. Set yourself up for success by setting up automatic payments from your checking account on payday that go directly to your monthly bills. To help prevent yourself from spending more than you’d like, use the envelope method. You simply take out the amount of cash you want to spend and keep an envelope for each expense category: groceries, gas, entertainment, etc. You’ll quickly learn how to budget that money so you don’t end up with an empty envelope on day two! And once you get those debts under 20% of your line of credit, you should see a nice boost in your credit score. Want to know the most heavily weighted portion of your credit score? It’s your payments history! That means the best thing you can do to improve your score is to regularly pay your bills on time. Not just your credit cards and loans. Every single bill, because most creditors can report your late payments to the credit bureaus as quickly as 30 days after the original due date. Set up automatic payments if you have to. Making sure you never miss another payment is one of the most important things you can do to help your credit after your car is repossessed. Once you shift your mindset to use your credit responsibly, it might be time to start using a credit card again. This might seem counter-intuitive if you’ve just had your car repossessed. But the problem with step number three is that most places you pay bills to only report late payments, not on time payments. So paying your cell phone bill, for example, isn’t really raising your credit score, it’s just preventing it from going any lower. By using a secured card and making timely payments, those positive transactions actually contribute to an increase in your credit score. Once you’ve had a repossession, though, it’ll probably be difficult to get approved for credit. Instead, you can sign up for a secured credit card, which is backed by a security deposit you pay in addition to your monthly balances. A shift in mindset and a change in strategy are all you need to bounce back from a repossession and bad credit. And if you read this soon enough, you may even be able to avoid a repossession altogether. Just remember that no problem goes away when it’s ignored. So no matter what stage you’re in financially, take one actionable step in the right direction today. Whether it’s avoiding repossession or improving your credit scores because of one, your future finances will thank you for the effort.